BEAUTIFUL HOME IN HAVESTON FOR SALE! THIS HOME IS 4 BEDROOMS, 3 BATHS HOME WITH AN OFFICE/DEN AREA ON THE FIRST FLOOR AND AN ENCLOSED BOUS ROOM UPSTAIRS THAT CAN BE USED AS A 5TH BEDROOM OR ADDITIONAL OFFICE SPACE. LOW MAINTENANCE FRONT YARD. BACYYARD HAS A FIRE RING AND BUILT IN BBQ COOKING AREA. HOUSE IS WALKING DISTANCE TO THE HARVESTON POOL, SPORTS PARK AND ELEMENTARY SCHOOL. HOME ALSO FEATURES GAS STOVE, GAS FIREPLACE, UPSTAIRS LAUNDRY RM, LARGE MASTER BATH& CLOSET. 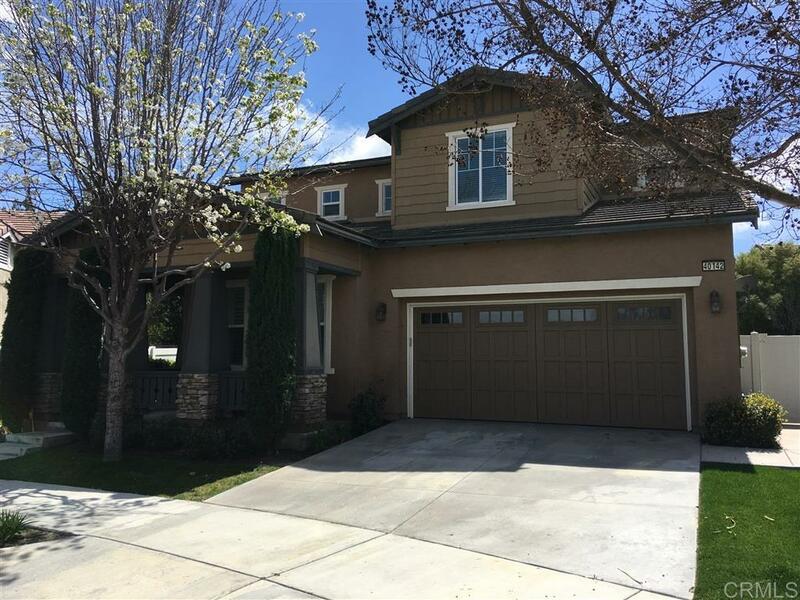 THERE ARE WOOD FLOORS DOWNSTAIRS., THIS HOUSE IS IN THE PERFECT LOCATION ON A QUIET STREET, IN ONE OF TEMECULA'S BEST SCHOOL DISTRICTS. IT IS CLOSE TO THE MALL/STORES & RESTAURANTS AND IS 5 MINUTES FROM THE 15 FREEWAY. SELLER IS OFFERING A CARPET ALLOWANCE FOR UPSTAIRS!